A two-hour trek through the horrendous NYC traffic to Queens, New York brought me to City Church USA to rock with God Over Money on September 21. The main tour features label head Bizzle along with Datin, Selah the Corner, and Jered Sanders. Most dates feature special guests and this night we had fellow New Yorkers Th3 Saga and Angie Rose. City Church USA is a little building in the middle of a Queens neighborhood. Although the church was small, the sanctuary was ripe with potential for an intimate and personal show experience. At around 7:00 p.m. people started pouring in for the VIP ticket session where the four GOM artists did a Q & A and meet and greet. I stayed in the merch room/green room to let the fans have the access they paid for. In there I chopped it up with two familiar faces in CHH, Lavoisier of Grow the Heck Up and DJ Ynot. Without divulging the contents of a nearly hour-long convo, I will say, anytime you have the chance to pick the brain of veteran artists concerning music, ministry, and faith – go for it. (You might see more on this in another article). Also within the room was Angie Rose, who set up an entire table filled with her Rose Gold Unstoppable Threadz merch. She came in loaded with gear and was ready to represent in her home state. She was also leading the night off. I made it a point to try and catch at least two songs of every artist that performed. The room was packed tight, and it would be nearly impossible to try and take good video and pictures without interrupting the audience or being on stage. I chose rather to soak in moments and have conversations with the artists. Anyone can view and at all times hear what an artist has to say in their music or on stage. True tests of characters can be learned from watching and interacting with people off of it. Angie Rose was an explosion on the stage. She’s on the shorter side, so I actually couldn’t really see her from where I was standing but it didn’t matter. Her stage presence and excitement for performing stood higher than everyone watching. Offstage, she was chill and down to Earth. She’s someone who genuinely cares about every conversation she is having. You don’t get the sense that she’s just listening and nodding. Angie is engaged with me, you, and anyone around. It’s a comfortable and usually encouraging conversation that makes you forget she’s an artist. Jered, Selah, and I decided to name Saga one of the best, if not, THE BEST, battle rappers who make music. He has such a musical gift to him, and always tries to implement live instrumentation into his sets. This is the second time I’ve seen Saga completely take over the presence of a room. I had a long conversation with Saga about the headspace it takes to write battle raps and to write a song. He is virtually two different artists. The dynamics and effort it takes to be good at two different things is remarkable. Look out for an interview with Saga coming soon. I really didn’t know anything about Selah coming into the show, but I’m glad I do now! The man is an absolute beast on the mic and totally lit it up. He had what I’d like to say was “home court advantage” at the show and utilized it masterfully. Selah is definitely a problem when he raps with his signature NY flair. Getting to know Selah was a treat. We spent a lot of time joking around, ragging on New Jersey (sorry Datin), and discussing the perils of eating keto on the road. He is way too humble to be that good at rap, seriously. Also, if Wu-Tang is for the children, GOM is for the romance. (Don’t ask). Jered Sanders is one of my favorite people ever. I’m almost positive the feeling isn’t mutual, but he is a joy to be around. Much like Angie, he has the ability to light up the room because he’s just so happy no matter how tired he is. He is the epitome of #HopeHop in how he conducts himself and tries to be a voice of reason. Jered becomes a completely different animal when he performs. He claims he enjoys short sets but went a bit over time on this night. At one point he was basically telling standup and completely killing it. The man was born to entertain. No matter how you shake it, Datin is an O.G. People respect him and his pen no matter what Twitter detractors throw his way. He’s as real as it gets and the closest thing to be a New Yorker without being one that I’ve ever seen. Last but not least was Bizzle. The big man came in like a boss and turnt up the stage. He closed out the night with a perfect balance of tracks that let the crowd hang on for a little while longer after a jam-packed night of good music. Unfortunately for me, I didn’t get to speak to Bizzle much. The few conversations I had with him were meaningful though. Off the bat, he told me he was grateful I was there. Secondly, he told me that every night of the tour they make it their duty to speak to, hug, take pictures, and engage with every fan that comes in. It’s definitely exhausting, and Bizzle looked every bit of it. I think people have this idea about Bizzle that he’s rough and this intimidating figure. That’s not accurate at all. In my brief experience, he’s quiet, totally approachable, and has a willingness to be a servant. In conclusion, I would say that’s the beauty about all of these artists on the bill. There were no egos, no “I’m too good for this,” or no, “you’re bothering me.” I observed a room full of some of the most talented people in hip-hop PERIOD, serving the Lord in the best way they knew possible. As people and performers, everyone was A1. We all tend to place this pedestal of perfection around the artists we admire. At the end of the day, these guys and girls are just like us. They’re trying to make it the best way they can. They slip up and fall and need just as many prayers as the people they minister too. We get to hear them expose their flaws out musically, but we become quick to judge them if they Tweet something we disagree with. All this to say, pour back into the artists you support as much as they have poured into you. So to Bizzle, Datin, Jered Sanders, Selah the Corner, Th3 Saga, Angie Rose, Lavoisier, and DJ Ynot, thanks for taking the time to chat and thank you for letting me be a fly on the wall to your world. Nothing but love and respect here. 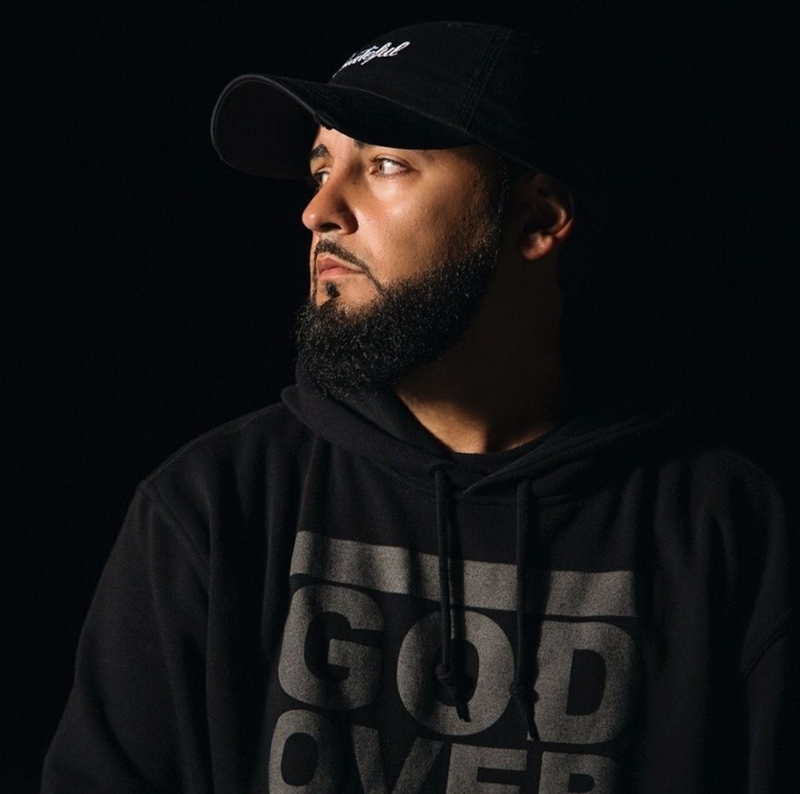 We recently had God Over Money on the Rapzilla Podcast. Check it out here.